If you are thinking about planning a trip to Hawaii, your trip would not be complete without experiencing a luau. In Hawaiian, the word luau means "feast," and it traditionally marks a happy event such as a birth, graduation, or wedding. 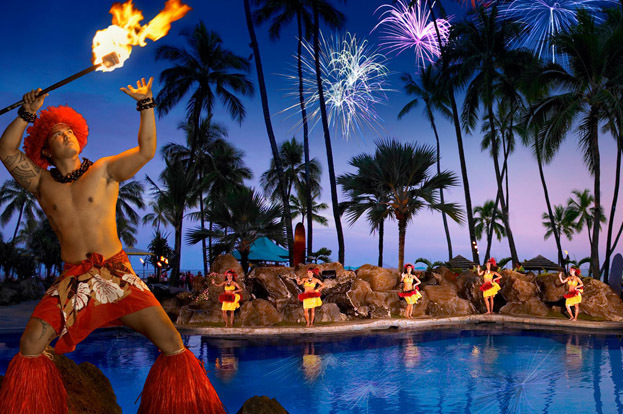 A luau typically includes a buffet dinner, drinks, and a Polynesian dance and music show. AAA Travel can help you book your next trip to Hawaii with discount hotel reservations, flights, transportation to and from the airport, luau reservations, and more. Every evening at 5:00 PM, visitors gather on the Hālāwai Lawn at Aulani, A Disney Resort and Spa for the KA WA`A luau. The festivities include a lavish Hawaiian feast, entertaining songs, dance, and magical storytelling. The highlights include pre-show activities like traditional arts such as kapa printing, flower arranging, and temporary kakau tattoos or pa‘i ai taro pounding. There will be a Lū‘au introduction and Oli (chant) welcome. The delicious buffet dining consists of a carving station with suckling pig and prime rib, fresh local seafood, authentic island fare and enticing Asian specialties. If the kids are joining you, there are family-friendly offerings, appealing kids' selections, and a mouth-watering dessert bar. During the Lū‘au performance, the enchanting performers will bring the legends and lore of ancient Hawai'i to life. Located inside the Marriott Ko Olina Beach Club in Kapolei, is the Paradise Cove Luau, with a spectacular ocean view. 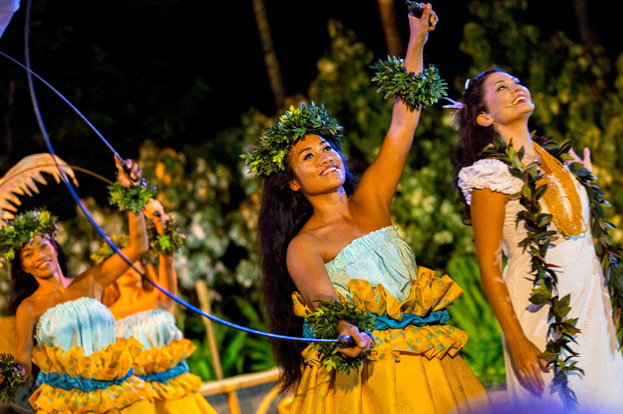 Pre-show activities include traditionally inspired crafts and games, such as lei making, Polynesian temporary tattoos, spear throwing and more. At the beginning of the luau, a long roasted pig is unearthed from a Hawaiian underground oven in a ceremony called Imu. The delectable buffet spread features kalua pork, lomi lomi salmon, poi, haupia (a coconut milk–based dessert), salads, rice and more. As the sun sets, the evening ends with lively cultural performances including Polynesian dancing and singing. Be sure to make reservations for Tuesday nights. For a Waikiki luau with an ocean view, head to the Aha Aina Luau at the manicured Ocean Lawn of the The Royal Hawaiian, A Luxury Collection Resort. Experience a cultural celebration with demonstrations such as kapa–barkcloth–making and poi-pounding. The Aha Aina Luau menu features poi, poke, kalua pig, steamed mongchong, Korean kalbi ribs, fresh fruit, and dessert. 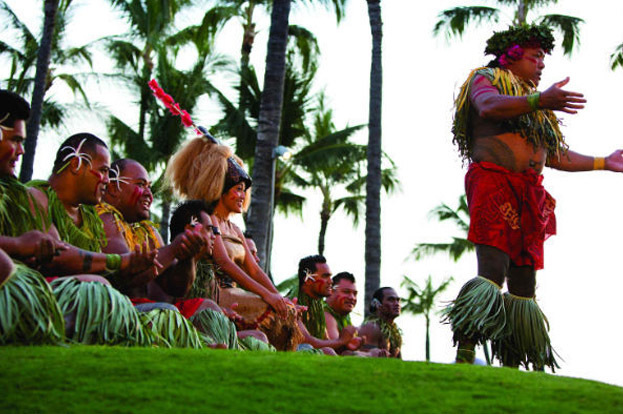 Through traditional dance and song, the luau tells the story of Waikiki and Oʻahu. Plan ahead for this weekly event celebrated every Monday, and be sure to make reservations in advance. For a celebration under the stars, you'll want to take part in the Waikiki Starlight Luau. 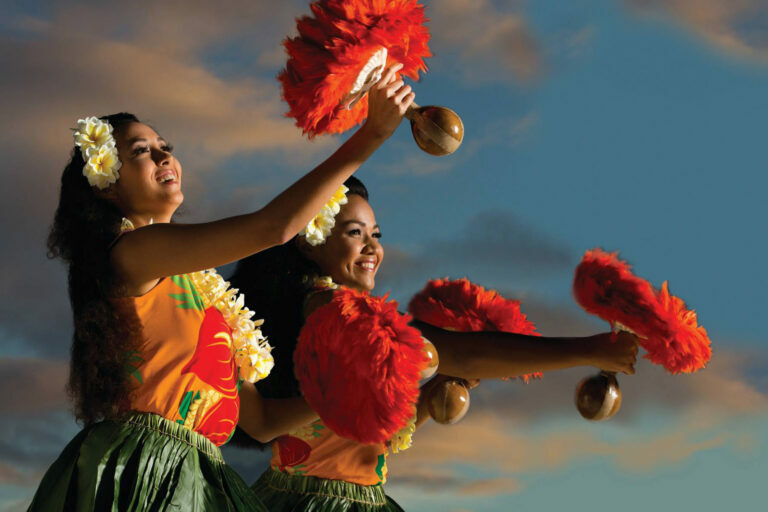 Located on the rooftop of the Hilton Hawaiian Village in Waikiki, this fun experience features hula, drumming, and music of Hawaii, Tahiti, and Samoa, as well as the traditional foods of the Pacific. Pre-show activities include interactive games and a conch shell blowing contest. 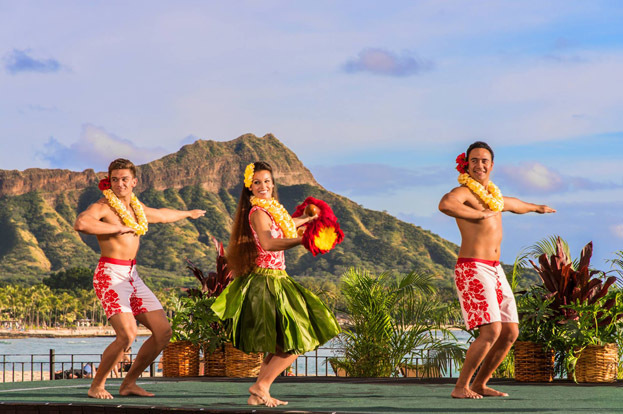 The Waikiki Starlight Luau buffet menu features South Pacific inspired dishes such as Huli Huli Chicken, Kiawe Smoked Brisket, and Kalua Pork, followed by lively, traditional entertainment. The Hilton Waikiki luau is held Sunday to Thursday, weather permitting. Visit your local AAA Travel branch to book your trip today. While you're there, you can pick up some new luggage and fly in style. We have great deals on brands like Samsonite, Baggallini, and American Tourister. Use your AAA Visa and earn triple points with your purchase. We will take the stress out of planning by doing everything for you. All you need to think about is what you want to wear to the luau!